Save big on recharge and bill payment. We update daily these codes daily . Get 4% cashback on recharge and bill payment of rs 30 or more valid on all recharges expect airtel telecom operatores. Its also working on DTH recharge. Do Prepaid recharge, Postpaid, DTH, Landline, Electricity Bill Payments at Paytm and get Rs 10% cashback. Max cashback Rs 100. 5 Times/user. New user get 50 cash back on. recharge of rs 100. New user get rs 50 cash back on recharge of rs 100. Valid through payment done via debit and credit card. only for new users who do recharge on their signed up mobile number. Save Rs.200 * 3 Times. Get 5% cashback (max 200) at Paytm DTH Recharge. Valid for all user. Save 5% [up to Rs 200] * 5 times on Rs 20 or more Prepaid Recharge of Vodafone.Max 5 times per number and user. Get Rs.75 Cashback on Rs.500 or more Electricity Bill Payment with Paytm. Once/user. First time bill payers only. Get Rs.50 cashback on DTH Recharge of Rs. 300+, valid for new user only, One time / user. Save Rs.75 * 5 Times on Rs.1000+ Paytm DTH Recharge offer. For all users. Get 10% Cashback on Metro Card Recharge at Mumbai. Code is valid three times per user. Save Rs.550 on Paytm DTH Recharge ofRs.6000 or more. Valid for all users. Once/user. Get Rs.100 Cashback on Rs.1000 or more Electricity Bill Payment with Paytm. 5 times/user. Save 5% [up to Rs 200] * 5 times on Rs 20 or more Prepaid Recharge of TATA..Max 5 times per number and user. Get Rs.50 Cashback on Rs.1000 Bill Payment when you pay with this promo code. 3 times/user. Get Rs.200 cashback on DTH Recharge of Rs.1000+ & valid for first time DTH Recharge only. Save 5% [up to Rs 200] * 5 times on Rs 20 or more Prepaid Recharge of IDEA Max 5 times per number and user. Save 5% [up to Rs 200] * 5 times on Rs 20 or more Prepaid Recharge of AIRCEL Max 5 times per number and user. Save 5% [up to Rs 200] * 5 times on Rs 20 or more Prepaid Recharge of RELIANCE. Max 5 times per number and user. Get Rs 100 cashback on minimum landline bill payment of Rs 600. Valid for new user only. 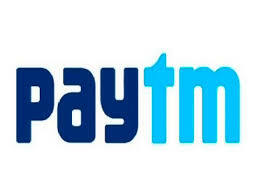 Save Rs.100 * 5 Times on Rs.500+ DTH Recharge with Paytm. For all users. Get Rs 100 cashback on first time Broadband Bill payment of Rs 600. Valid for new user only. Get Rs 100 cashback on Bsnl landline bill payment of Rs 500+. Valid once/user. Get 5% cashback on Electricity Bill Payment with Paytm. Max cashback Rs 200. 5 times/user. Save 5% [up to Rs 200] * 5 times on Rs 20 or more Prepaid Recharge of Bsnl Max 5 times per number and user. Add Rs 500 to your paytm wallet and get Rs 50 cashback. Using Rupay card only.